Woohoo! 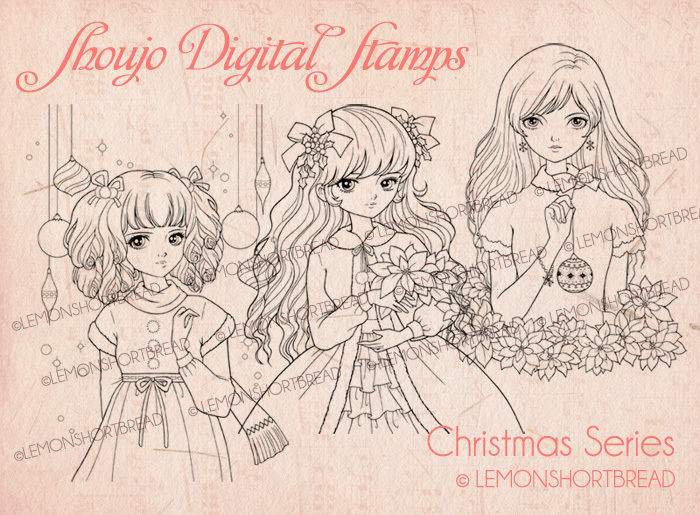 Here's to my completing a set of Christmas shoujo girls! I hope you like them. 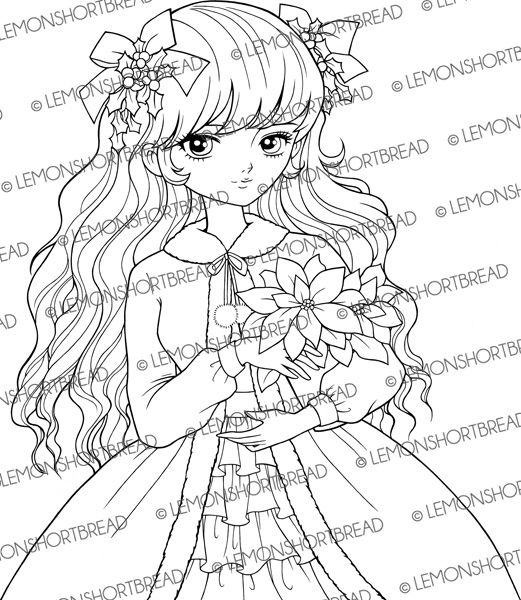 They are all instant downloads available in my Etsy shop, 300dpi in 7 inches height. 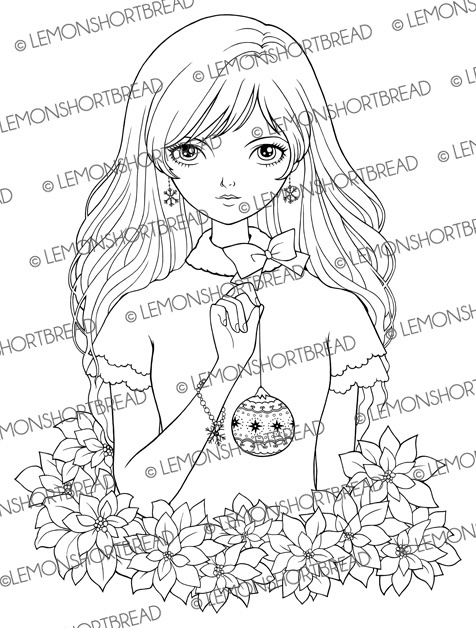 'Christmas Glitter Shoujo' is 8 inches. 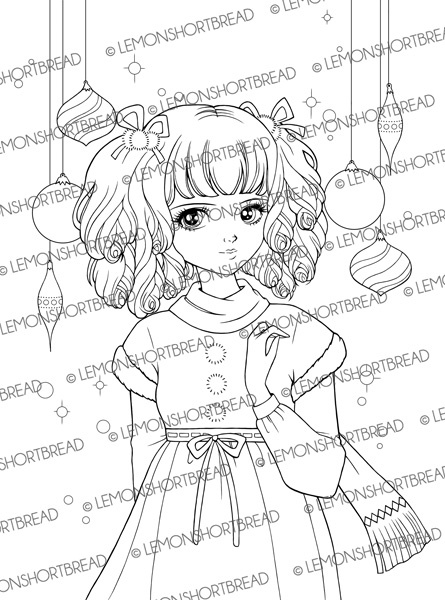 The linearts make wonderful colouring pages as well as they are highly detailed and clean. Each girl has a slightly different feel (era-wise), 'Ornament Shoujo' looks the most modern out of them all.